Then there is Hideo Tanaka. Ahhh! A billionaire genius inventor who, in this world chock full of Alpha closet-chauvinist billionaire romance heroes, is surprisingly normal and remarkably non-assholish (no this is not a word). I liked Hideo. Dude has world changing ideas and vision, a plan and the hubris to execute it in face of a lot of brewing trouble. The trouble though…The ghost…That was one plot twist that blew me away and firmly elevated this book from good to great. The other characters were all well fleshed out and had their stories. They had their nuances. Even the robots and avatars had their own character nuances. It was realistic, eerily similar to the real world we live in; the world of smart devices and invasive apps and an online presence we really don’t bother to know much about before jumping in. We don’t read the fine print. Heck, we don’t even read the bold print where our personal information becomes electronically available to God knows who when we download an app, configure an intelligent home system in our homes or make endless login profiles on endless internet sites. I must put it out there that I am not writing some kind of anti-technology rant here. It is just what it is and I do it too. And our collective social/entertainment media dependence is a huge part of the plot of Warcross. We get glimpses and hints of what’s going to ultimately happen. The smart people somewhat see what’s going to happen. And they still hurtle head long into the world of make belief the game Warcross represents. That is because it is an escape at first and a compulsion soon after. Isn’t this how addictions work? Isn’t this how our current social media and smart device addiction works? The way the whole sane society works Warcross into itself is fascinating to read. The world building is stellar. Real world issues are stitched in seamlessly. 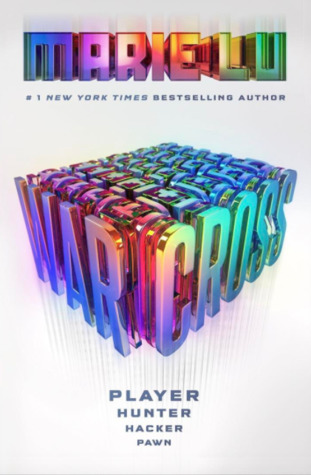 There is a very thin line between fact and fiction and that makes Warcross such an awesome sci-fi/fantasy thriller. I recommend Warcross wholeheartedly to lovers of scifi and romances with a twist alike!